Mark Montano: YOUR CHANCE TO WIN! IT'S GLITTER BLAST TUESDAY!!!!!! YOUR CHANCE TO WIN! IT'S GLITTER BLAST TUESDAY!!!!!! My favorite spray paint projects would be storage boxes or picture frames, would like to attempt it on cards. Thanks for chance to win, fan and follower here. thanks for a chance toe win. Happy to already be a "new" follower here at your fun blog....love all this COLOR btw! Shared this giveaway on FB and joined the fans at Krylon on FB and told them you sent me. To date, my favorite spray paint project was the tree branches we decorated for my daughter's 16th B-Day party photo spot. The branches perched behind a wicker throne with fun copper lanterns hanging, too. Following you on twitter already! Facebook link. I think my favorite spray paint project is my next one- upcycling some patio furniture. I love spray painting old furniture. Mark, Mark, Mark. I love you dude! You rock! And I have done all of the above!!! I am working on turning an old piano bench into a sewing caddy. All liked and followed! Thank you for this contest! 1. SHARE this on your FB page... DONE!!! 2. LIKE and COMMENT on the KRYLON FB page that I sent you! DONE!!! 3. JOIN my blog. DONE!!! Your twitter link does not work! I've done the requirements and some of my favorite crafts with the glitter blast has been ornaments whether for Christmas or Easter. 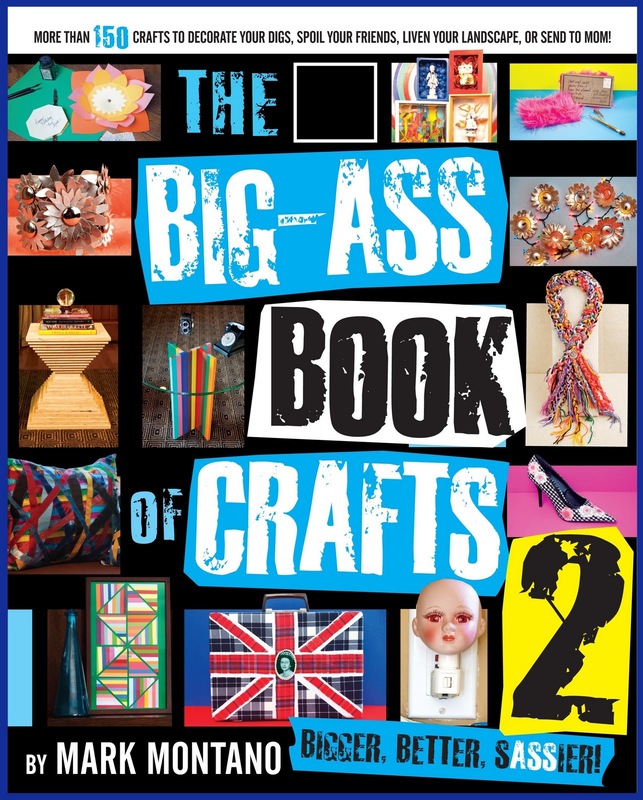 I love to add bling to a lot of the things I craft. I already follow you on Twitter. Im spray painting some glass jars & some wooden twigs. How does anyone live w/o spray paint? My favorite project I have made with Krylon Glitter Blast spray would have to be when I made Trick Or Treat Pillows for Halloween last year. I have done 1-4, I don't have a Twitter account. Thank you for offering this contest!! I am following your blog, your twitter, krylon page followed and commented. Also fb page shared! I could do some amazing projects with that glitter!! Working on decor gifts for my nieces birthday right now, and glitter would be the amazing final touch i need! I also hit up Krylon's page. I just spray painted some of those $1 wooden birdhouses and then placed them on a trellis for a Mom's Day present I'm working on. Turning out cute! All done Mark. I shared, I liked (a while ago), I commented, I joined your blog (a while ago), and Im commenting again. I dont tweet though. No twitter for me. 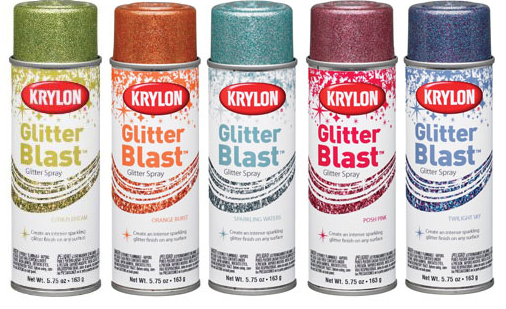 I would spray paint everything if I won some awesome glitter paint. I would just go glitter crazy. LOL>...Thanks for the chance to win. My favorite project was an ugly brass lamp I bought @ the thrift store that I sprayed using Krylon's Oiled Bronze spray paint...it turned out great! Can't wait to try Glitter Blast! Hi, Mark! I did it all! Thanks for posting this! 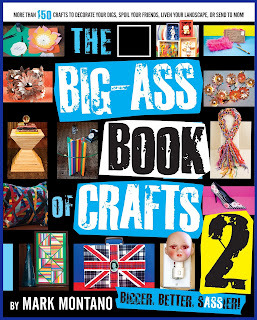 Your crafty brilliance never ceases to inspire me! 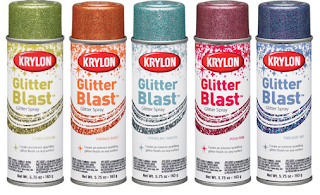 I have a ton of things I want to use glitter spraypraint with - I want to trick out my Kitchenaid mixer with it, paint some pots with a little decoupage action, paint some glass paints like in your first book, make some jewelry with glitter spray painted wooden beads! Thanks again, you are awesome! Thanks so much for doing these contests. Done all that I can do. So many projects to think of, I want to repaint some planters and make myself a tread holder! Got it all! :) Paint...anything! everything! My favorites? Old cigar boxes, picture frames, old house windows. I could go on and on. Thank you for sharing your heart with us. You are inspirational! All done! Love spray paint! Fingers crossed. Did all you requested! My favorite spray paint projects are the ones where I find something old/vintage and bring it back to life! I love to repourpose things and spraypaint helps you do that! My favorite spray paint project...anything metal! I have an old filing cabinet I'm going to spray this weekend. I did all the steps. Yay for spray paint! I like taking random thrift store objects and remaking them with spray paint. Shared and tweeted! I have never used the sparkly paint! Did it all! My fav spray paint project so far is a shelf I just finished. I completed all of the above. Had a ball, glitter blasting Easter eggs. Am currently putting a faux finish on an old flower pot that has a beautiful shape, but was an ugly color. I'm twitter-pated,shared, and liked and I love Krylon products...especially their specialty paints for my garden projects. I think I entered all the steps. I once spray painted records & cassettes pink for a baby shower (rock princess baby shower to be exact) in the center of the record where the label is I cut to size a picture of the "Rock Mommy & Daddy-to-be"
Hi Mark, I just did everything you asked...Even tweeted. I like spray painting just about anything. The most fun I had making something spray painted was doll beds made from wooden clementine boxes. I've shared, I've said "hi", I've commented and even tweeted! I love how spray paint is a quick way to spruce up just about anything! I did your steps - on my way to twitter right now! I was pretty surprised at your black and white stripe couch! just finished all the requirements,& saw a post that there was still time to enter so keeping fingers crossed!!! (better late than never!) my fav spray paint project would be painting real branches in bright colors (sometimes even two-toned) makes for amazing home decor by placing in a large vase!!! One of my favorite uses for spray paint is decorating for parties. One big project in the past using spray paint was when I was decorating for a corporate party that was a pirate theme. It looked great with tiki torches, creepy gauze, fortune tellers and more. We needed something on the ground to add a bit of glamor to the scenery... pirates gold and all. So I had friends pick up hundreds of oyster shells on the beaches. I washed those smelly things then spray painted the all gold! They add the perfect touch and the party was a big hit! Me too, following everywhere. Twitter link not working for me but I will work it out. I spray paint flower pots, chairs with lots of bumpy bits and anything that takes my fancy. I follow your blog and I have some great wooden baskets that need some great spray paint. Did all the requirements + some! !